It’s that time of the year, when temperatures soar and air conditioning repair in Northridge becomes a top priority for homeowners and businesses. 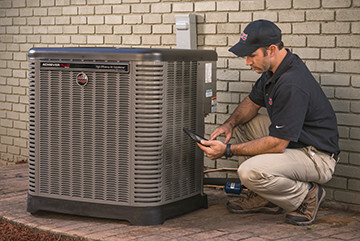 Don’t wait a minute longer before calling our certified, highly trained and trusted professionals that offer 24 Hour Air Conditioner Service in Northridge technician to assist you. Whether you need a residential or commercial unit serviced, repaired, or replaced, you can count on our NATE certified technicians to come promptly to your home. We even provide same day service when necessary. Our friendly, efficient service techs will ensure there are no issues with your air conditioner upon completion of their repair to your system, so call on us to repair your air conditioner. We provide all of Northridge with the finest quality air conditioning service and products from the industry’s leading manufacturers. Providing superior A/C service, repair and installation is our top priority. Our technicians receive continual training to stay up to date on the latest techniques and trends. We specialize in cooling system installation from RUUD, Trane and Lennox, but also repair all major makes and models. When the temperature in Northridge reaches the hundreds and above, cooling the residents of Northridge and the surrounding areas is our main goal. Whether your home needs a new unit because the current unit is broken and beyond repair or if you’re seeking a new unit in order to lower your monthly utility bills, we can help you. Perhaps you have a functioning unit and would like to make certain it stays that way- sign up for a seasonal AC Tune-up. We are locally owned and operated and have been servicing the Northridge for over 20 years, so you know you can trust us with all of your air conditioning needs. The Best AC Service Available in Northridge! We have been serving Northridge for more than 20 years. We are proud to be a locally-owned and operated company, and understand the importance of treating our customers the right way. Give us a call to schedule your Air Conditioning Repair service today! We are your local air conditioning repair and service experts in Northridge, CA. You can trust our team of professional air conditioning repair experts with your next service or installation. We have great deals on annual maintenance that can help protect the life of your hard working AC unit. The heat in the Northridge area can be brutal, so don’t take your chances with whether or not your AC is running efficiently or without problems. With major equipment such as your home comfort air conditioner, we tend to do everything possible to repair them before determining that a replacement or change out of your air conditioning system is necessary. The need for a replacement usually comes after you’ve had your system for many years often times more than 10 years old, or when it has been used excessively and cannot be repaired any longer. Our service technicians only recommend replacing your air conditioner when you are experiencing constant repairs that no longer keep it working properly and would be a waste of your money. Our FREE in home installation estimate to replace your old Air Conditioner is no pressure estimate. We are a family owned and operated heating and air conditioning company. We specialize in residential heating and air conditioning equipment replacement, installation and repair. We carefully measure your home, calculate air flow, and consult with you about any special needs you may have, before making equipment recommendation. Our installers will protect your home with drop cloths. We don’t leave until we fully cycle and test your new air conditioner. It’s important that your air conditioning & heating system function properly together. So each cycle is fully tested, both air conditioning & heating. Periodically installations or replacements maybe selected for our quality control supervisor to inspect. Photos are taken and used during our weekly training sessions. We will take into consideration your time, budget, and family needs, and give you a few recommendations allowing you to decide which air conditioner brand is best for you. At Pacific Coast Heating and Air we are here to make your life easier. We are dedicated to assisting you with your indoor air quality and comfort needs with respect to your health, budget, and the environment. If your system is between 10 and 20 years old and you are experiencing high utility bills or inconsistent performance, we recommend scheduling a professional evaluation of your existing system to determine if maintenance (such as ductwork repairs, or wear and tear parts) or replacement is the best course of action.